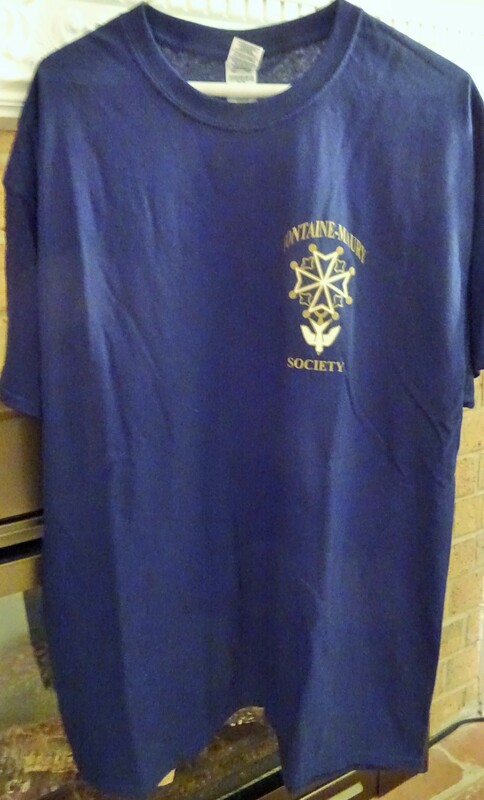 Society T-Shirts Now Available, Great Christmas Gifts! 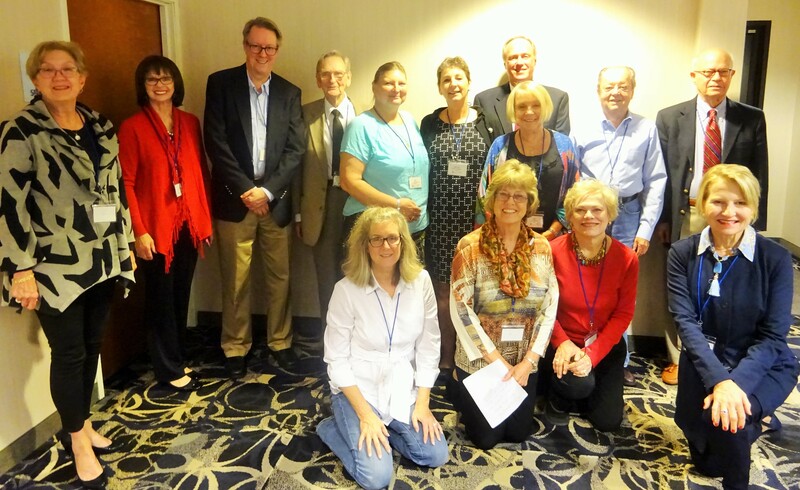 We had over 70 attendees at this year’s annual meeting weekend. We stayed in Ashland, Virginia, a short distance to a number of important sites in the family of Peter Fontaine Jr. We visited the original land that Peter Jr. bought in 1759 with the house Rock Castle and received a lecture on 14 years of excavations of that house. We toured Rock Castle II, better known today as the Fontaine Farm, at the house built by Peter’s grandson James Fontaine around 1835. It was this house that was ransacked by Union troops who threw the possessions onto a bonfire, including Jaques Fontaine’s 1720s manuscript that was saved by a Union officer. 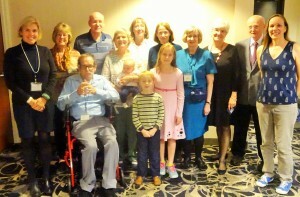 We also visited Fork Church where Peter’s grandchildren’s generation and later generations attended church. We also visited Beaverdam Plantation, bought by Peter Jr.’s son William and where the Fontaine Family Cemetery is located. We will add more details of our weekend soon! The photos below are descendants of Mary Anne Fontaine Maury (1690-1755), the Reverend Peter Fontaine (1691-1757), and the Reverend Francis Fontaine (1697-1749). Author J.C. Hallman is researching Dr. J. Marion Sims (the “Father of Gynecology”) and Sims’s first patient, a slave named Anarcha Westcott (the “Mother of Gynecology”), for an article for Harper’s Magazine and for a book. Hallman has found evidence that Anarcha later belonged to William L. Maury, so he is looking for any and all resources about the lives of William Lewis Maury (b. 1813 in Virginia – d. 1878 in New York) and his wife Anne (“Nan”) Fontaine Maury (1832-1890). In an additional clue, he has found that Dr. Richard Brooke Maury, Jr. (b. 1834 in D.C. – d. 1919 in Memphis, Tennessee) was a doctor including a gynecologist at the same time as Sims and served on medical boards with him. Richard donated to the campaign to commission a statue of Sims when he died. William and Richard were 2nd cousins, as their grandfathers Fontaine Maury (1761-1824) and the Reverend Walker Maury (1762-1788), respectively, were brothers. These facts suggest ties between Sims and the Maury family. If you have any knowledge of materials that might not be widely known (i.e., not the collections at the University of Virginia, William & Mary College, or the Virginia Historical Society), please contact Mr. Hallman at JCHallman@gmail.com. Details on our October 2016 Annual Meeting! Come Join Us! 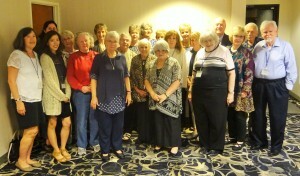 Our meeting weekend will be at the Holiday Inn Express and Suites at 107 South Carter Road in Ashland, Virginia 23005. The rooms include free Wi-Fi, complimentary hot breakfast, 24-hour coffee, indoor swimming pool and hot tub, fitness center and business center. Make your reservations now by calling 804-752-7889. King suites will be $109.00 plus tax; doubles (two double beds) will be $119.00 plus tax. Remember to tell the hotel that you are with the Fontaine Maury Society to obtain these discounted rates. To obtain these rates, make your reservations by September 15, 2016. While we will be staying in Ashland, the locations that we will be visiting and learning about are located throughout Hanover County, Virginia. Our focus this year is on the Civil War and how it impacted our Fontaine family who lived there during that era. Hanover County was the home of Peter Fontaine Jr. (1724-1773) and his wife, Elizabeth Winston, who in 1759 settled on land near the forks of the Pamunkey River. This year we have hired several smaller buses to transport us on Saturday so that narrow roads and driveways common in rural Virginia will not be a problem for us! We will visit the land where Peter and Elizabeth lived, see the ruins of their first home, Rock Castle, and tour a second home on the same property also known as Rock Castle that was later called Fontaine Farm. The Society helped the Civil War Trust purchase the Fontaine Farm in 2014 to preserve the location of the Battle of the North Anna River. We will also visit a second family property, Beaverdam Plantation (known in the family as Beaverdam Farm), where the Fontaine Cemetery is located, Fork Church, where many of our Fontaine ancestors worshipped, and Scotchtown, the home of Patrick Henry (orator, statesman and father-in-law of Peter Fontaine’s son, John Fontaine). Saturday night we have a very special treat planned for you. It is a surprise but we know you are going to love it! After our catered buffet dinner at the hotel, we will have a few short announcements, followed by photos by ancestor group, some door prizes again, and then our program. New this year will be a research trip offering on Friday afternoon. A short bus ride away is Richmond, Virginia, where the Virginia Historical Society (which has many Fontaine and Maury holdings) and the Library of Virginia (the state’s archives) are located. We have planned a half-day research trip to the Virginia Historical Society on Friday afternoon, October 14, from 12:30 until 5:00 PM. We have hired a bus to allow you to relax and leave the driving to someone else! Bus seats will be limited to the first 24 that register (and pay). Their website is invaluable for doing offline research and preparing for your upcoming research trip. Friday dinner will be on your own in Ashland. Afterwards we will have our annual business meeting, elections, door prize drawings AND a special speaker from the Hanover Historical Society who will help paint the picture for what we are going to see on Saturday. You don’t want to miss this part! Many thanks go to Mary Borjon and her team (Suzanne Lea, Marian Fletcher, Brian Nilsson and Tom Fletcher) who continue to work tirelessly to make this a gathering that you will not soon forget! We have a new email address, FMSGathering@gmail.com, if you have questions or suggestions about our weekend! We are asking each registered attendee to bring an item that can be given away as a door prize. We already have a couple of bottles of Virginia wine, some books, and some t-shirts from the Virginia Historical Society… Our hope/plan is that there will be enough prizes for everyone to have something to take home with them! Do you have any family photos that you are willing to share? Especially of the ancestors that are buried in the Beaverdam Cemetery? If you can scan and email them to FMSGathering@gmail.com by September 15, we will very much appreciate it! The registration deadline is September 15, 2016, to guarantee transportation availability. Registrations received after September 15 will be handled on a space available basis. Schedule of events: We will be using smaller buses for our transportation this year to enable us easier access to the events. They will also be easier to get into and out of! Note that the schedule may change slightly. 6:45 PM: Buffet dinner followed by a special program designed just for our group!!!!! 7:45 PM: Group Pictures by ancestor immediately before program begins. Does anyone have any information on a slave cemetery on the grounds of Bien Venue, the plantation of Aaron Fontaine (1753-1823, son of the Reverend Peter Fontaine) in Louisa County, Virginia, where he lived before moving with his family to Kentucky? 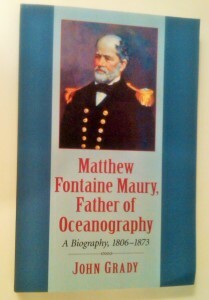 “In becoming “a useful man” on the maritime stage, Matthew Fontaine Maury focused on the ills of a clique-ridden Navy, charted sea lanes and bested Great Britain’s admiralty in securing the fastest, safest routes to India and Australia. He helped bind the Old and New worlds with the laying of the transatlantic cable, forcefully advocated Southern rights in a troubled union, and preached Manifest Destiny from the Arctic to Cape Horn. And he revolutionized warfare in perfecting electronically detonated mines. Maury’s eagerness to go to the public on the questions of the day riled powerful men in business and politics, and the U.S., Confederate and Royal navies. He more than once ran afoul of Jefferson Davis and Stephen R. Mallory, secretary of the Confederate States Navy. But through the political, social and scientific struggles of his time, Maury had his share of powerful allies, like President John Tyler. The book is available for purchase from Amazon.com. In January 2016 English author Derek Lunt donated to the Society’s library a copy of his outstanding book, James Maury Esq., First American Consul to the Port of Liverpool 1790-1829: A Social History of an American Consul in Liverpool. Self-published in 2014 based on an interest in Maury, this wonderful 236-page book is full of details of Maury’s life in Liverpool from his arrival in 1790 as the first consul of the new United States Government, appointed by George Washington, until his return in 1829. The book includes many color photos and details of Maury’s work as consul, as Virginia tobacco merchant, and as founder of the American Chamber of Commerce in Liverpool. A check or money order in British currency can be obtained from large banks and travel services like Travelex. In February 2016 the U.S. Navy accepted delivery of the USNS Maury, the seventh Pathfinder-class oceanographic survey ship. The USNS Maury will be used to perform acoustical, biological, geographical and physical surveys. The ship is named from Matthew Fontaine Maury, known as the Pathfinder of the Seas. 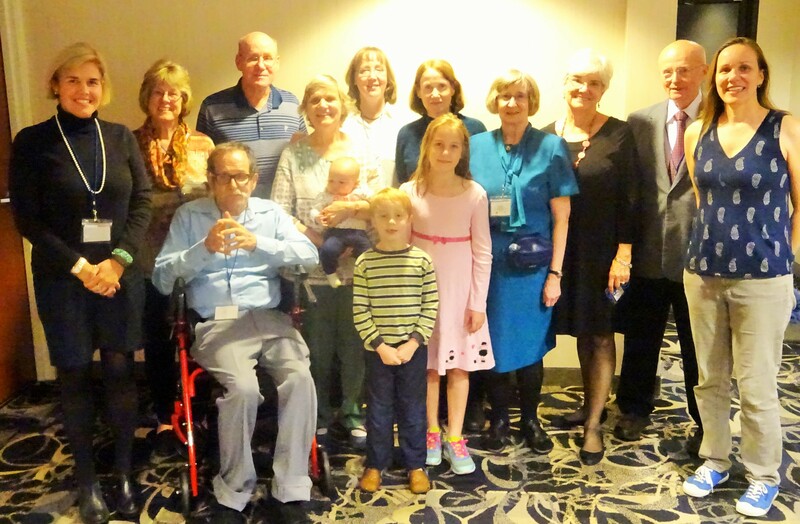 Society members toured the Maury in October 2015 during the annual meeting weekend. The ship carries with it a copy of Ann Maury’s Memoirs of a Huguenot Family, donated by Society member Russell Hooper. 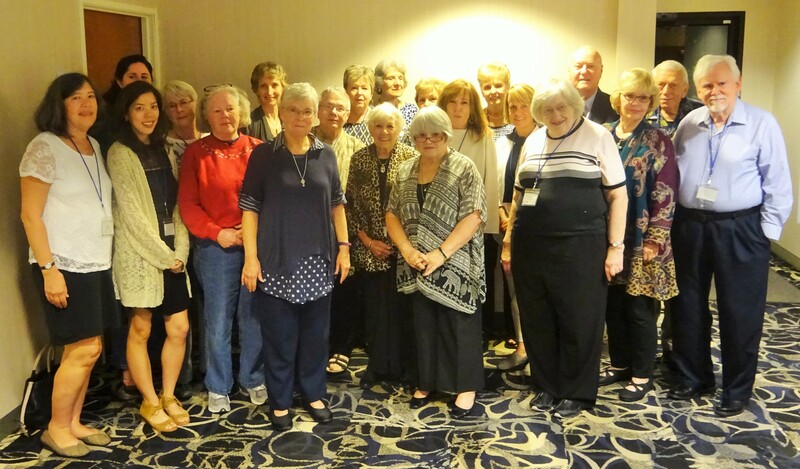 Join or Renew Your Society Membership for 2016! The Society would also like to create an e-list for our members. Please be sure to provide your e-mail address when you join!